Missing teeth don’t just affect your smile. They also can make it difficult to eat, chew, or even speak. Fortunately, there are a number of procedures you can have which correct any of those disadvantages. 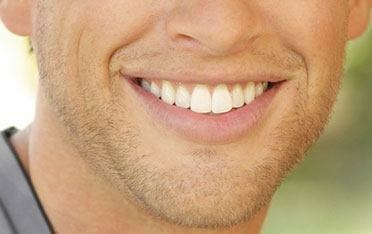 One of the most popular, and most effective, is the placement of dental implants. 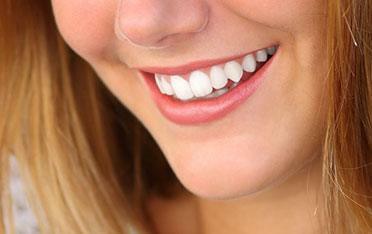 Dental implants are a permanent option for replacing one or more missing teeth. Each dental implant is custom made to fit your smile and give you optimal health, function, and appearance. Your dental implant will not only look and feel just like your natural teeth, but with proper care, it can give you a lifetime of comfort and confidence. How Do Teeth Implants Work? Every natural tooth needs a root to keep it stable and strong. Synthetic teeth are no different. The first part of implanting a synthetic tooth structure is the place a titanium rod into the gap left by the missing tooth. By using advanced 3D scanning technology, we are able determine the precise placement that is best for your dental implant. This helps ensure your implant will be successful and last as long as possible. It also allows us to show you, prior to the procedure, exactly what is about to happen. We will answer all questions, and make you’re that you are entirely comfortable with your care. 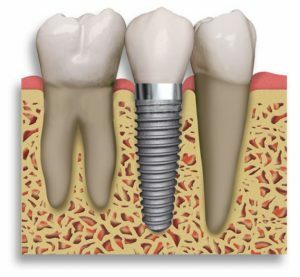 Once the rod has been placed and healed properly, a custom-crafted crown will be attached to the top of the implant. The same digital technology that allows us precision with your implant rod will also allow us to design your crown with your mouth’s perfect shape and size in mind. The new tooth will be nearly indistinguishable from any natural ones. This method is also available for full and partial dentures, as well as dental bridges. Schedule a Dental Implants Consultation in Lake Jackson! During your consultation, Dr. Elrod will discuss your treatment options and answer all questions about them. He’ll also take the time to explain the procedure and the recovery process. We are committed to delivering the personalized care you need to give you your best smile. Distinctive Dental Services has successfully used implants to replace missing teeth for hundreds of patients. Contact us today to find out if dental implants are right for you.